To feed human populations worldwide, agricultural production has been tremendously increased in the last decades. The global population has increased from 3 to 7 billion people in the last 50 years and is assumed to increase further before leveling off at about 10 to 11 billion people. This immense population growth may at least require a doubling of global food production. To date, higher agricultural productivity has been obtained by modification of crops and their genetics, improvements of fertilization and irrigation regimes, and enhanced pest regulation. These strategies have led to substantial changes in land use with associated loss of biodiversity and soil erosion, as well as to pollution of aquatic and terrestrial habitats through leaching of nutrients and bio-accumulation of persistent pesticides. The impact of these strategies on ecosystem health are tremendous and sustainable production is becoming indispensable.￼Little is known about the effective sustainability of organic farming practices. Conservative use of fertilizer and pesticides in organic systems may lead to a decrease in yield that in turn may lead to an increased demand for agricultural land and the conversion of natural ecosystems into agriculture areas to maintain productivity. Thus, benefits emerging from organic farming with regards to reduced fertilizer and pesticide application, reduced energy input, and increased soil organic carbon, are confronted with the detrimental effect of yield loss and increase demands for land use. Increasing the efficiency in nutrient use, water use and pest control may be the only way to decrease the environmental impact of agricultural land use. Among those strategies, breeding of high-efficiency crops, use of cover crops and crop rotations, reduction of soil tillage, improved timing of fertilizer application, enhanced irrigation regimes, and investments in research and education may reduce fertilizer losses by leaching and decrease the amount of fertilizers required for high crop yields. However, the optimal balance of all these forces to obtain sustainable agricultural areas is not entirely understood yet.Proper stewardship of soil is the cornerstone of sustainable land use in agricultural systems. Soil serves as reservoir for many essential nutrients, provides structure essential for plant growth, efficiently detoxifies waste and filters water. At the system level, microbial metabolism drives the biogeochemical processes essential for soil fertility and plant growth. Thus, intact and functional soil microbial communities are key for the long-term sustainability and productivity of farming systems. However, our inadequate understanding of soil microbial communities and their metabolic activities limits our ability to manage agricultural systems for sustainability. Fertilization and pesticide regimes can substantially alter the microbial communities with potentially significant consequences for soil fertility and ecosystem health. I study the influence of different farming systems on the agricultural soil microbiome in order to elucidate how fertilization treatments, plant protection regimes and crop rotations select for specific microbial populations. Forest ecosystems are functionally vital to global-scale ecological and economic networks mediating fundamental nutrient and energy flow patterns with direct feedback on the climate system. Intact forests mitigate atmospheric increases in greenhouse gases such as carbon dioxide and methane, and are among the largest global carbon sinks. Poorly managed forests and deforested areas can become significant sources of greenhouse gases with the potential to accelerate global warming. Furthermore, forest ecosystems are global hotspots for biodiversity. Biodiversity is of fundamental importance to the biosphere and human well being, yet forest biodiversity is experiencing dramatic changes due to current management practices. Our socio-economic responsibility also creates ethical and esthetic implications of forest management balancing supply-side economy with the inherent value of wilderness. Conservation of these ecosystems is therefore essential to maintain forest functionality, preserve global biodiversity and meet socio-economic imperatives.The economic, environmental and social significance of forests is growing as a result of the need to shift to production of renewable materials and fuels. 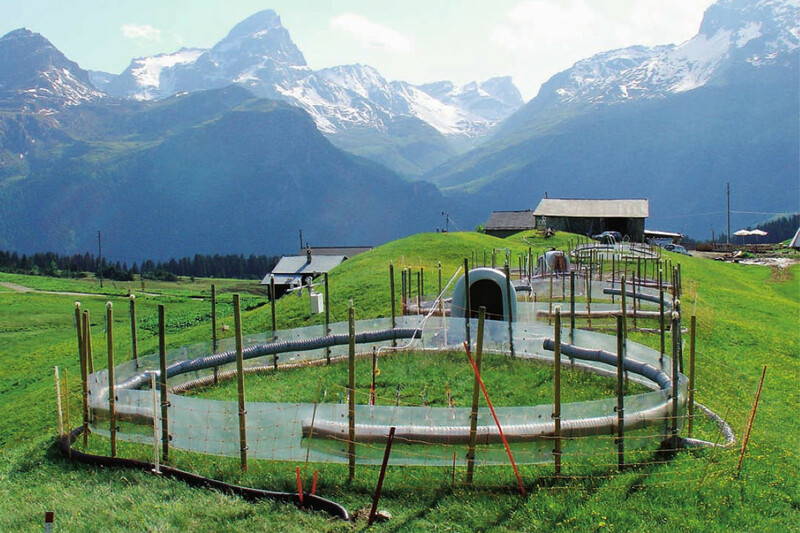 Management practices must be developed and optimized in order to sustain ecosystem health. Site organic matter and soil porosity are two vital properties directly affected by forest management. These two properties regulate many important soil processes, including temperature, water regime, gas exchange, nutrient availability, and energy supply. Current demands aim to maximize removal of organic matter from forests, with increasing demand to harvest previously unused resources for biofuel production. As a consequence of increased biomass harvesting, nutrient balance and soil properties will likely change significantly. Furthermore, economically efficient harvesting entails the use of heavy machines for harvesting, which leads to severe compaction of the soil, especially during wet conditions and along skid trails and landings. 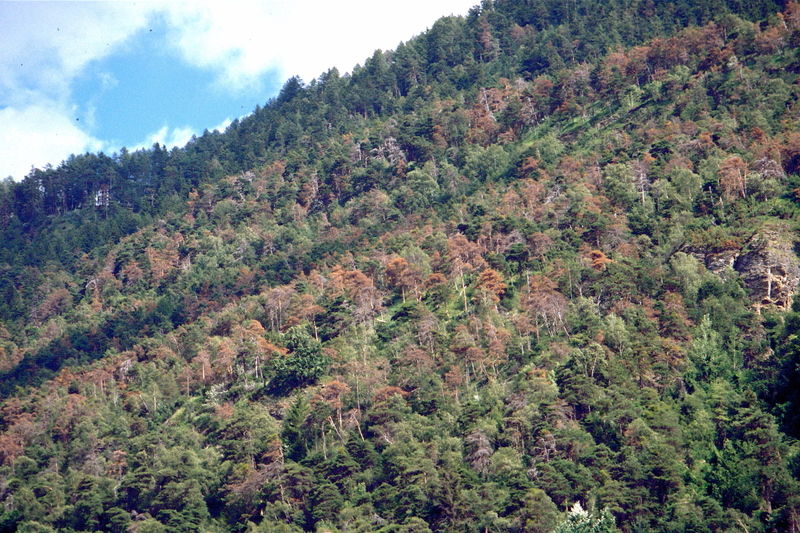 Extensive organic matter removal and severe soil compaction can lead to nutrient depletion, reduced soil capacity to sequester carbon, increased greenhouse gas production, increased surface water runoff and soil erosion, elimination of habitat, and epidemic disease, all of which ultimately decrease a forest’s capacity to sustain productivity and functionality.￼The cornerstone of forest ecosystem health and sustainable forest management is proper stewardship of soil. Soil provides fundamental ecosystem services including decomposition and transformation of organic materials and toxic compounds, nutrient cycling, regulation of greenhouse gases, water regulation, physical substrate for plants, and suppression of pathogenesis. Thus, preservation of soil quality is crucial for forest functionality and sustainable forest utilization. Microbial metabolism is key for soil quality. Human and natural disturbances can induce changes in these communities that might ultimately affect productivity and sustainability of forest ecosystems. 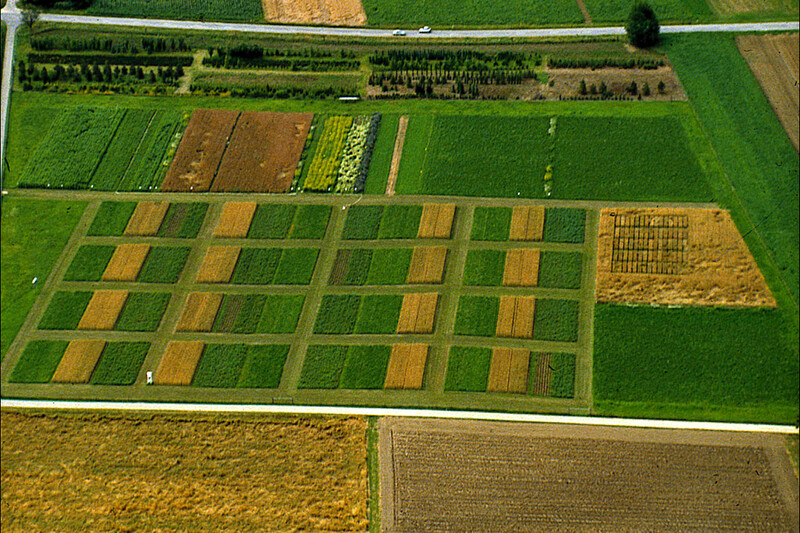 However, we have a poor understanding of how microbial communities respond to these soil disturbances, because these communities are extremely diverse and appropriate high-granularity techniques to study them were previously unavailable resulting in inconsistent or equivocal results. In my research, I study the impact of forest management regimes and associated key disturbances such as organic matter removal and soil compaction on diversity, composition, dynamics, and function of soil microbial communities. For this purpose, I am using cutting-edge molecular genetic approaches such as next-generation sequencing to characterize the forest microbiome in the British Columbia Long-Term Soil Productivity Sites or in disturbed Swiss forests.